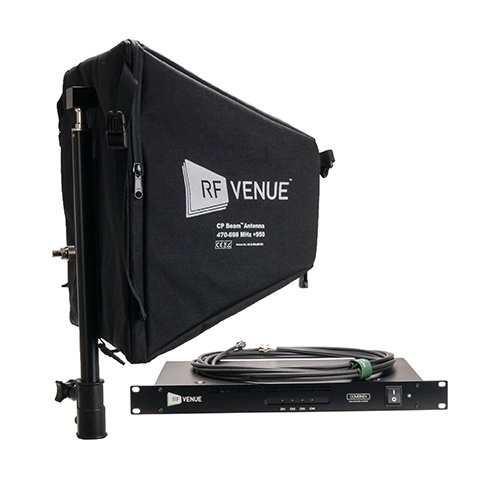 Any brand IEM may be used, as well as any type of directional antenna. 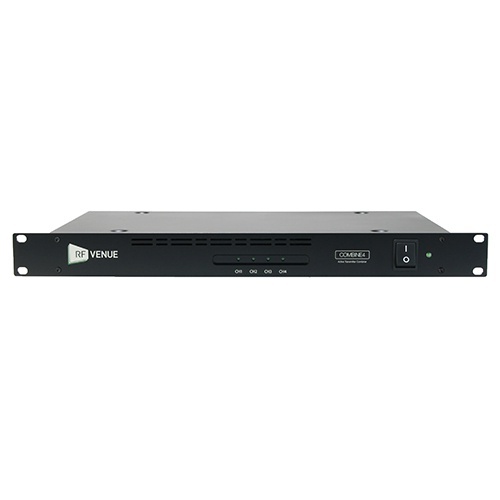 It also provides DC power to up to four IEM transmitters to reduce cable clutter and wall warts. IEM transmitter combination is important for multi-channel systems to minimize intermodulation products arising from multiple adjacent transmitters interfering with one another. The CP Beam antenna is a recommended accessory for the COMBINE4 and is available in a bundled package. Replacement power cables are available.